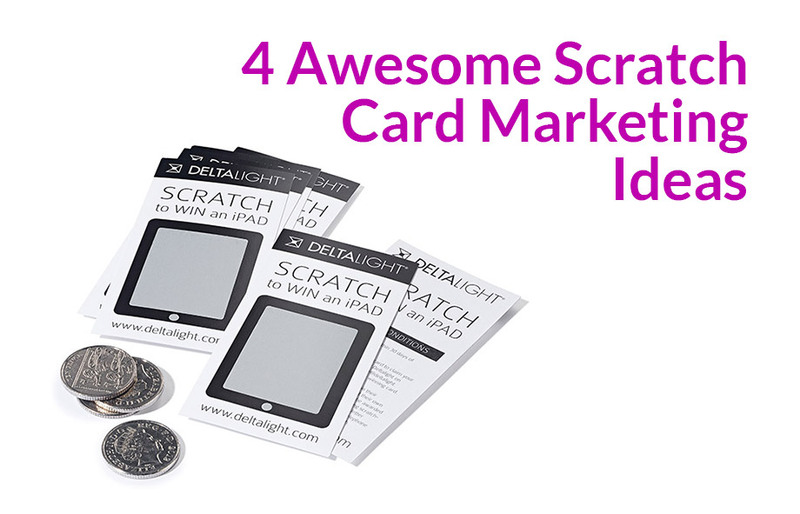 We make scratch card printing (and design) really, really easy! Your project just got 100% easier – Our team will help you print (and design) your scratch card campaign to any specification you want. 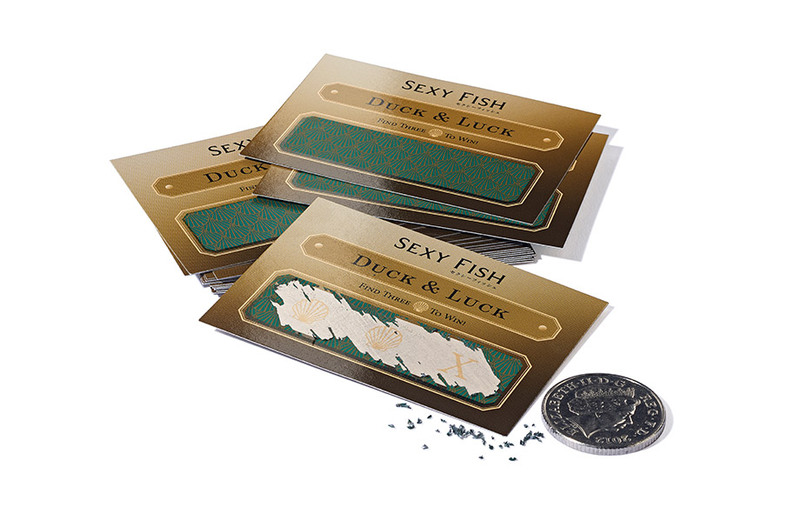 Promotional scratch cards are our passion and we’ve printed MILLIONS of them for our clients. You can choose a scratch card that matches your budget and campaign – our regular scratch card range will suit most requirements, but if you’re looking for something extra special, choose bespoke scratch card printing. and… don’t worry about the technicalities, we can talk you through every detail, from making the best game, right down to the colours you need to use in your design – Simply call 0800 412 5334 for a quick chat or click here to get scratch card samples of our vast range of printed scratch cards. We’ve added some useful articles about design and printing scratch cards to our blog if you’re looking for inspiration on how to best use scratch cards for your marketing campaign. Everything you need to know about scratch card printing and scratch card design is right here. 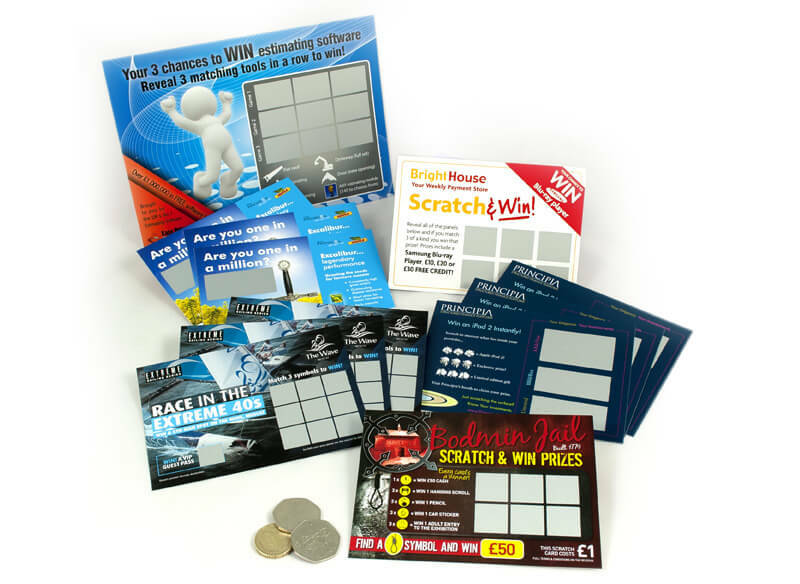 We are a UK based supplier of printed scratch cards. 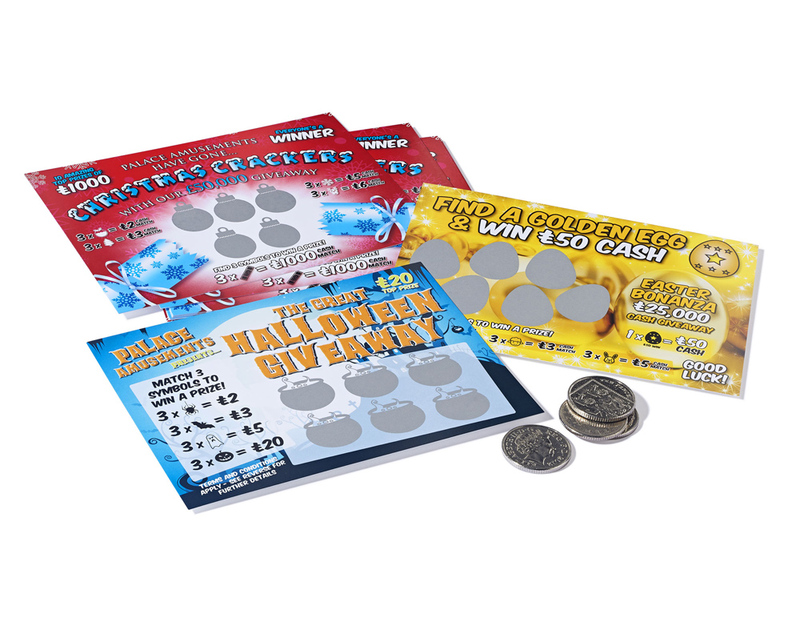 Our scratch card options can be designed to suit any budget or campaign requirement. Scratch card printing requires a certain amount of planning and expertise – but you don’t need to worry about that. We’ll guide you through the process to ensure your promotion is as successful as possible. 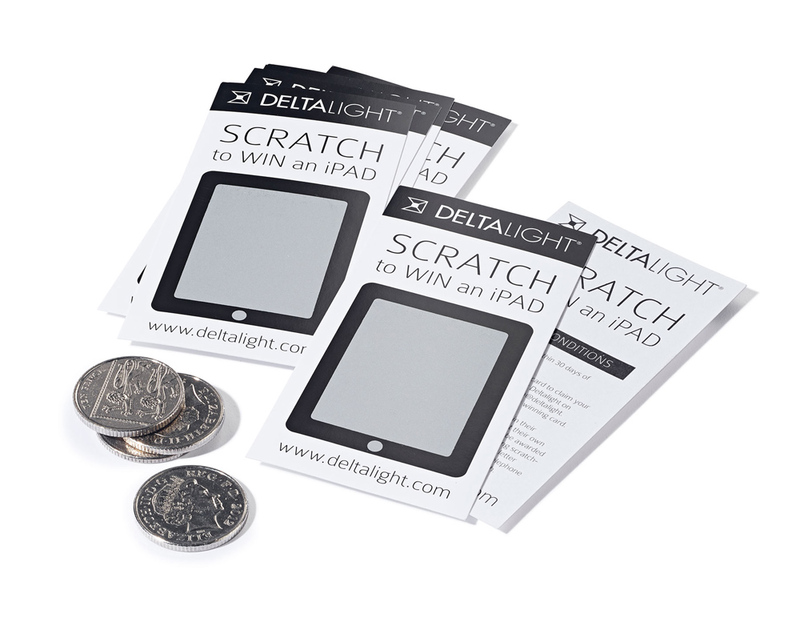 Suitable for most promotions are our ‘standard range’ scratch cards, which come in lots of sizes. 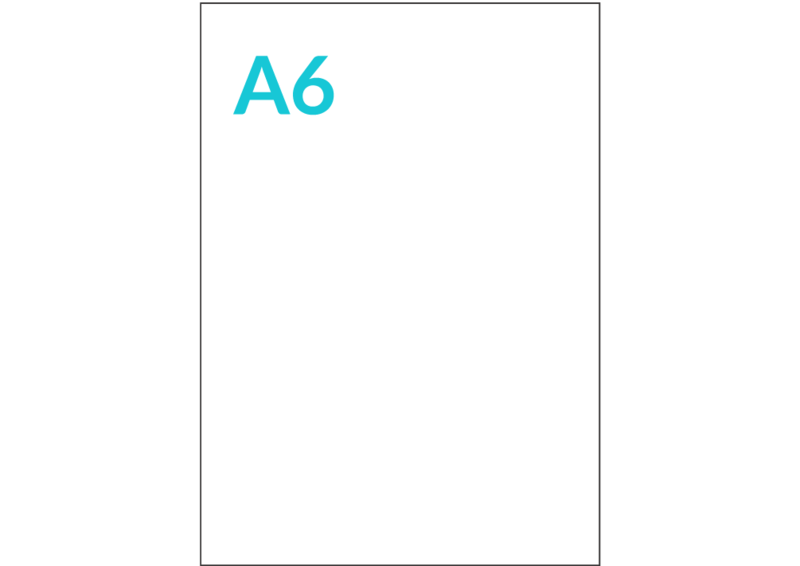 Regular, Super, A5, A6, A7, and 1/3 A4. These allow you to use your own artwork (which we’d love to help you with) and our Regular and Super options offer a few prize structures which provides a combination of flexibility and cost-effectiveness. If the standard products don’t meet your criteria, don’t panic! We can do just about anything – budget permitting. Non-standard products are more expensive, but offer almost limitless flexibility and we would be happy to help explore exciting ways to bring your project to life. 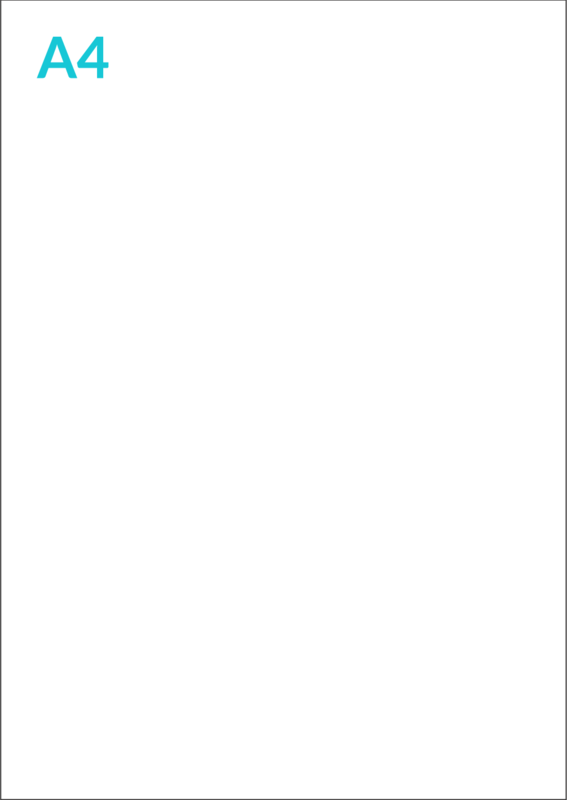 Click any scratch card size below to view specifications and pricing. Need some help deciding what you need? 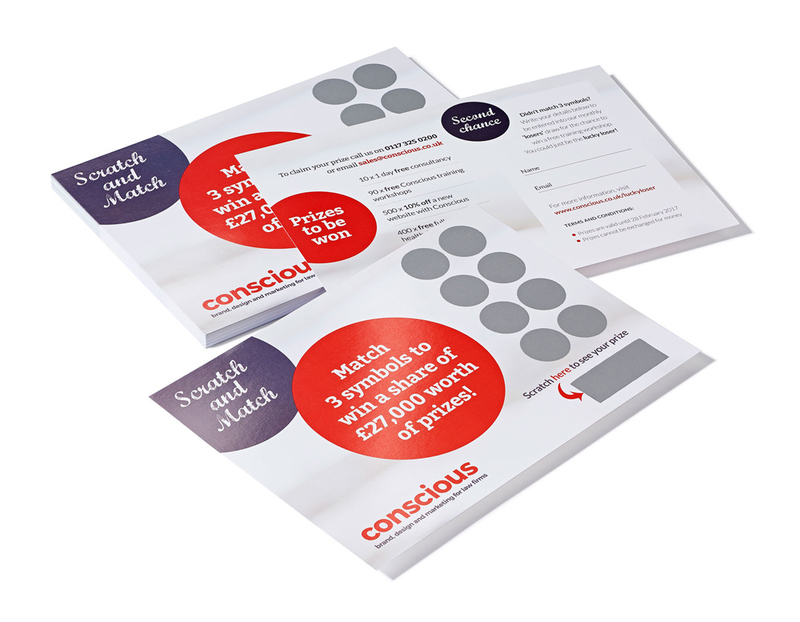 To help you quickly decide whether you need our standard scratch cards, or whether a bespoke solution would suit your needs better, you should download our ‘Quick Start Guide’ to printing scratch cards. It’s FREE, and by answering a few quick questions will help you assess the best scratch card product for your campaign. Quickly work through some basic questions to help you map out your requirements. Have you ever not scratched a scratch card? We’re guessing not – and neither have we. And we’d be willing to bet (no pun intended) that your customers are the same as you and us. There’s just something about scratch cards that makes them irresistible. Maybe it’s that feeling of winning, of getting something for nothing – but there’s no denying scratch cards are seen, read and (if you win!) remembered. Give your customers an itch they can scratch? In a world where we are all bombarded with advertising, so much of it is all too easy to ignore. 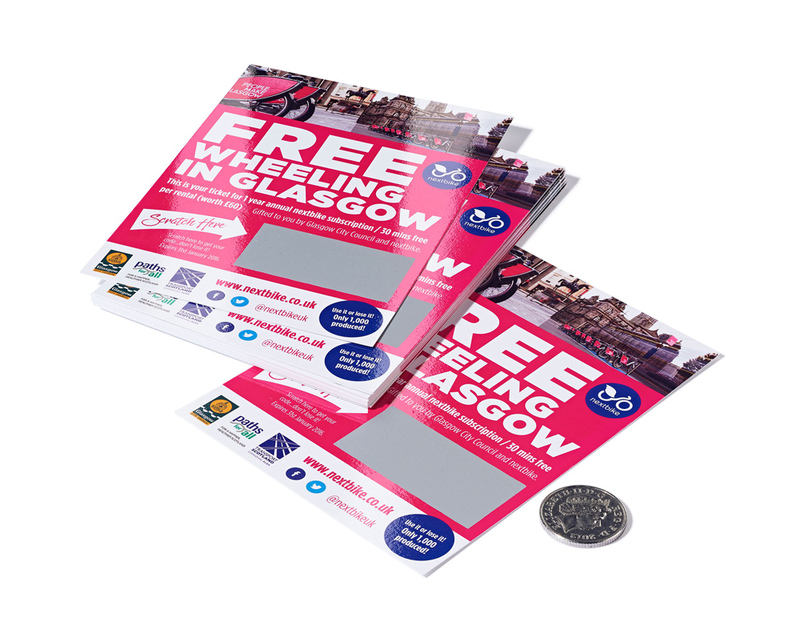 Leaflets can be casually discarded, radio advertising is gone and forgotten by the time of the next travel bulletin and local newspaper advertising is all too often interspersed among the property pages or classifieds. Scratch cards are different. For a start, your customer feels lucky – even special – when they ‘win’. And the fact that your customer has to scratch to find out if they’ve won means the scratch card is already way ahead of almost every other form of marketing in its ability to capture the attention of whoever you give it to. In fact, we can’t think of a single more effective way of holding your customers’ attention short of you finding the time to stop people in the street and tell them one at a time why they should try your product or service. So why don’t more small businesses use scratch cards to promote themselves? It’s a good question… the main reason is cost. Many business owners do what they’ve always done, and leaflets are often the first port of call. 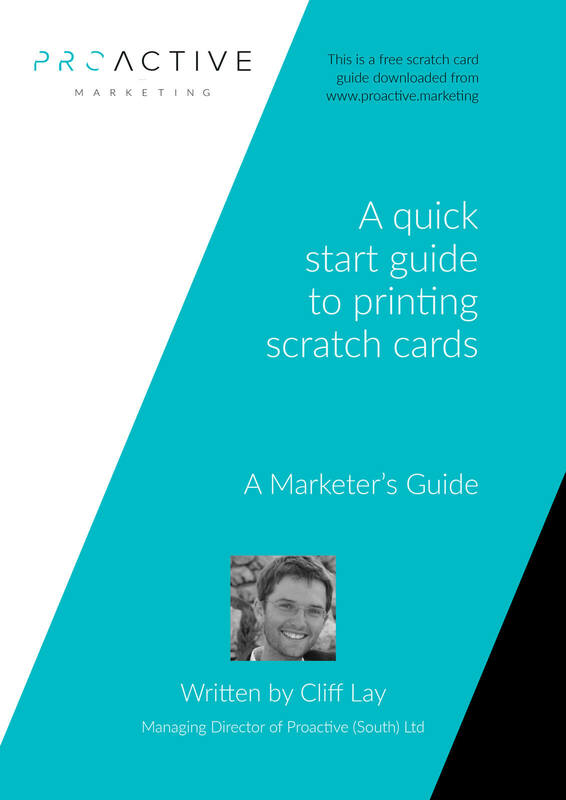 Scratch cards are either not on their radar as a tool for marketing their business, or they’re perceived to be too expensive to make them a viable proposition. 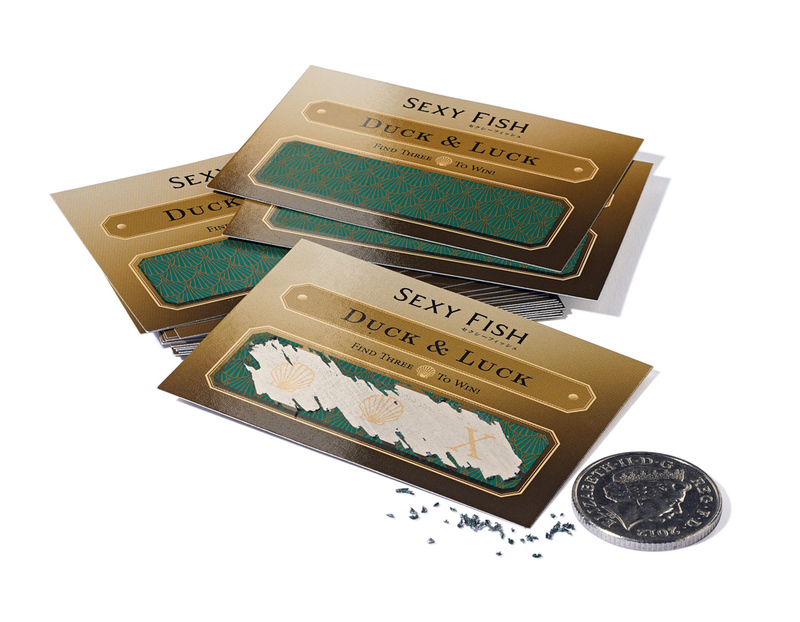 The different processes involved in producing a scratch card can make them relatively expensive on a small scale. To overcome this, we’ve streamlined our production processes so you don’t pay the set-up costs usually associated with scratch card printing. We won’t print your scratch cards on their own – that’s when it gets expensive – for most projects we’ll print them at the same time as lots of other scratch cards and we pass those savings on to you. This means you can order as few as 5,000 scratch cards and still benefit from the bulk-buy pricing we can provide. Scratch card printing with www.printscratchcards.com ensures quality and makes financial sense. But I don’t know where to start with designing a scratch card! You don’t need to. The technical expertise required to create scratch card artwork is an issue for many business owners and marketing managers, and it’s probably not something your local / in-house graphic designer has had much experience of. That’s why we’ve developed a proven process for ensuring the best results from designing scratch cards which takes full account of all the little details which could otherwise be over-looked. We’ll design your scratch cards to match your existing brand or create something completely new but we’ll also ensure, for example, that the ink density is just right so it doesn’t show through the scratch panels, that the scratch panels are positioned correctly – details you don’t need to worry about because we’ll take care of the whole process from start to finish. 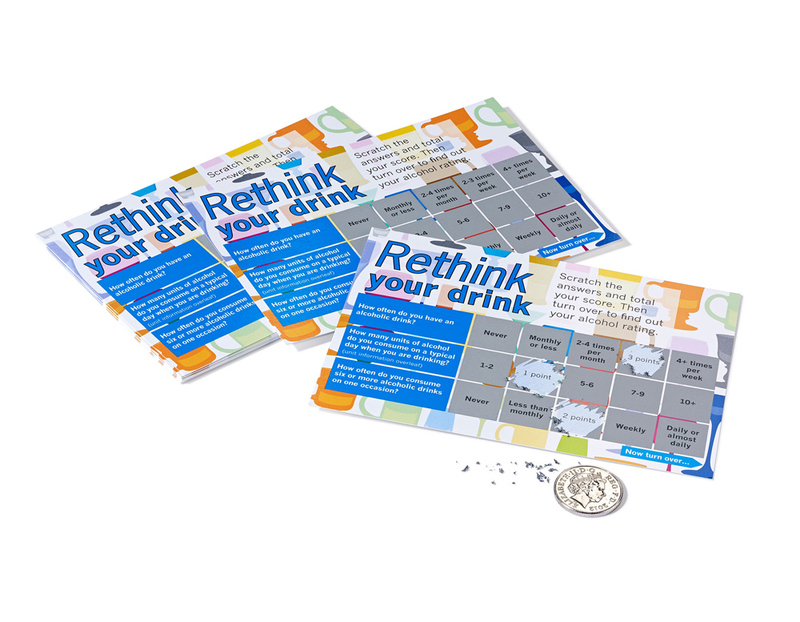 Well, the first step is to decide whether your requirements fit into one of our ‘standard’ scratch card sizes which are suitable for most promotions. 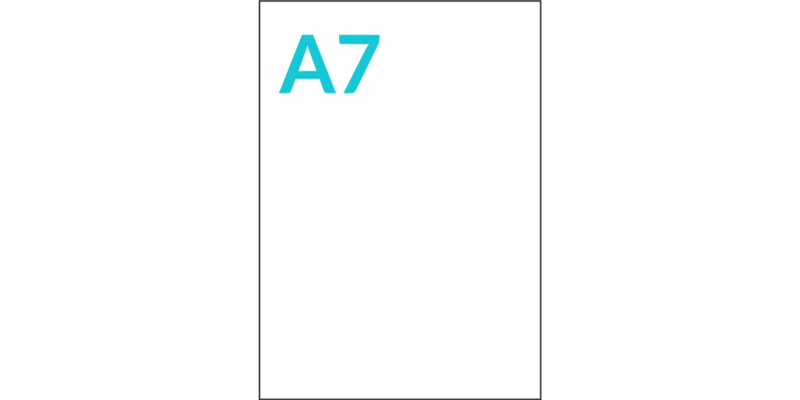 They come in six sizes – Regular, Super, A5, A6, A7, and 1/3 of A4. These allow you to use your own artwork (which we’d love to help you with) and offer a prize structure which provides a combination of flexibility and cost-effectiveness.